Being stressed out can temporarily cause your blood pressure to rise—but can constant stress lead to long-term high blood pressure? Let’s take a look at the facts from a scientific point of view. When we are faced with stressful situations, our bodies produce large amounts of hormones that will increase our blood pressure levels and cause our hearts to beat at a faster rate. This is because stress causes an increase in the sympathetic nervous system. When there is stress-induced activation of the sympathetic nervous system, the bloodstream is flooded with adrenaline and cortisol; this can accelerate your heart rate and increase your blood pressure. For instance, if you are being interviewed for your dream job or receive less-than-positive results in a medical report, chances are you may be so stressed that your blood pressure levels will temporarily shoot through the roof. Stress isn’t always the result of an “intense” moment; some people stress over everyday occurrences. For example, having to wake up early every morning and get to work on time or getting stuck in traffic for hours on end can cause anxiety for some people. 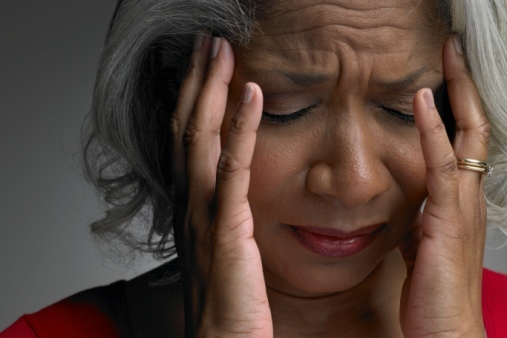 But could these daily occurrences of stress lead to long-term high blood pressure? Not necessarily. Researchers believe that other factors and behaviors linked to stress are what lead to high blood pressure. For example, some people who are stressed tend to overeat, binge drink alcohol, or get less sleep—all of which can cause high blood pressure. It’s important to note that mental health conditions that are linked to stress (i.e. depression, anxiety, etc.) may lead to heart disease. Since the body produces large amounts of hormones when it’s stressed, this can be damaging to the arteries and lead to a heart condition. • Discover what your stress triggers are: Being able to recognize what triggers your stress is the first step to reducing it. When you are stressed, your blood pressure immediately rises, which is why you need to identify what your “stress triggers” are and try to minimize them. When you are stressed out, take a couple of deep breathes or try to laugh it off. Try smiling, even if you don’t feel like it. This will trick your brain into thinking that you are happy. • Talk to someone: Managing your emotions is essential for keeping stress at bay. Discuss what’s bothering you with a counsellor, a friend, or a loved one. Release your emotions through discussions; by dealing with stress through anger, you will only get more stressed. • Yoga: Studies have shown that doing at least 30 minutes of yoga on a daily basis can help lower your blood pressure and reduce stress. In a 2013 study conducted by researchers at the University of Pennsylvania, the team discovered that people who did yoga two to three times per week for 24 weeks experienced a significant drop in their blood pressure levels. Remember that whatever stress you are facing, you are not alone. Speak with your doctor or a trusted love one about your problems and experiment with various natural methods to reduce your stress levels. “Stress and high blood pressure: What’s the connection?” Mayo Clinic web site, December 6, 2012; http://www.mayoclinic.org/diseases-conditions/high-blood-pressure/in-depth/stress-and-high-blood-pressure/art-20044190?pg=1. Sinatra, S., “Lower Your Blood Pressure Naturally by Reducing Stress,” DrSinatra.com, April 13, 2015; http://www.drsinatra.com/lower-high-blood-ressure-by-reducing-stress.